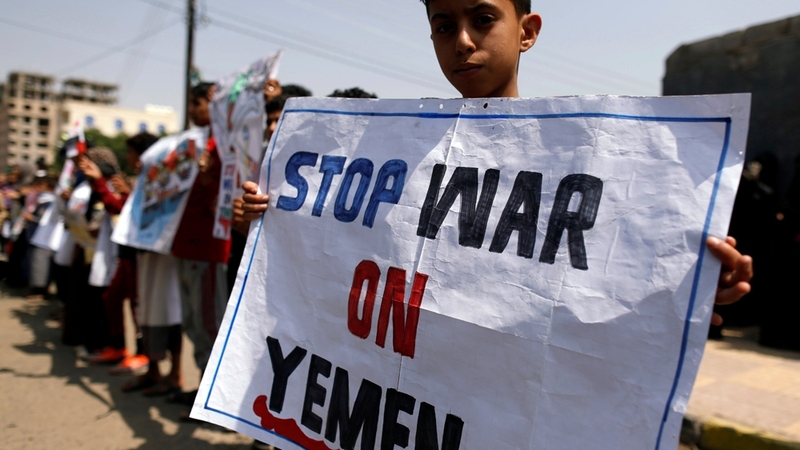 Stockholm, Sweden – The Yemeni government officials and Houthi rebels are due to meet in Sweden this week for UN-sponsored talks aimed at ending the war that has been going on for more than three years. The talks are due to take place this week but the UN has refused to reveal the exact dates, times and venue although they are expected to take place on December 5 close to Stockholm. While there have been several international initiatives aimed at bringing the brutal war to a close, the latest round of discussions could yield major breakthroughs. A source familiar with the talks told Al Jazeera that the UN is seeking to introduce a set of confidence-building measures, including a ceasefire in Hodeidah and an end to the Saudi and United Arab Emirates (UAE) air strikes across the country. The source added that the Houthis will cease all rocket and drone attacks on Saudi Arabia and the UAE. The war, which has been raging since March 2015, has received considerable media attention following the killing of journalist Jamal Khashoggi, a critic of Saudi Arabia’s foreign policy, who was brutaly murdered inside the Saudi consulate in Istanbul on October 2. Western powers have expressed their anger over the killing and pulled their support for the Saudi-UAE. Under the leadership of Crown Prince Mohammed bin Salman, the alliance has launched more than 18,000 air raids on Yemen and imposed a raft of punitive economic measures aimed at undermining the Houthis’ grip on power. This has exacerbated Yemen’s humanitarian crisis, which aid groups have decried as “choking civilians”. The “consultations” will be attended by only the main “parties to the conflict”, according to the UN: representatives from President Abd-Rabbu Mansour Hadi’s government and the Houthis. UN envoy Martin Griffiths is hoping to getboth sides to agree to a “framework” that “establishes the principles and parameters for UN-led, inclusive Yemeni negotiations to end the war, and restart a political transition”. However, both countries and Iran – which supposedly backs the Houthis – have said they support the UN’s scheme. “These talks are dealing with somewhat specific measures that don’t necessarily involve the STC directly,” said Adam Baron, an analyst at the European Council on Foreign Relations. “This is not just a call for social equity. For these talks to be successful, women from both camps have to represented,” al-Thaibani said. Getting the warring parties around a negotiating table is in itself a “major achievement”, according to analysts. “Realistically, a best-case scenario would be to see a set of announcements on confidence-building measures, a set of de-escalation agreements and then some sort of agreement for further talks,” said Baron. Maysaa Shuja al-Deen, a non-resident fellow at the Sanaa Center for Strategic Studies, said while this first round of talks would be “a trust-building exercise”, there could still be several breakthroughs. “Agreeing on a ceasefire is going to be pretty easy,” she said. “The Houthis have already said they will not fire missiles into Saudi Arabia and the UAE. So while it seems like a big outcome, it’s actually a pretty simple and straight-forward issue. “The major issues are: What happens with Hodeidah port and the city and will the Houthis transfer control to the UN? “Also, what happens to the thousands of prisoners held by both sides? This is a priority for the government. They have a lot of people who are being held by the Houthis, such as the former Minister of Defence, General Mahmoud Al Subaihi, and one of Hadi’s relatives, his nephew, Nasser Ahmed Mansour Hadi,” she said. According to al-Deen, 1.2 million civil servants have not been paid since 2016, compounding the country’s humanitarian crisis, and that is something the Houthis would be looking to address. Saudi Arabia and the UAE have set up bases in several parts of southern Yemen. “Before the war, there was a discussion of Yemen becoming a federal state, something akin to the relationship Quebec has with Canada,” said al-Adeimi. “Something like that could be well received and placate some of the grievances we see among southerners,” she said. “But the people see Hadi as a traitor, someone who has completely failed them – a Saudi puppet.